One of the most significant developments in the theatre in Guyana now is the return of The Link Show. After its most recent hiatus of some 3 years, Guyana’s longest running satire celebrated its third rebirth at the National Cultural Centre at the beginning of March, 2019 – reappearing as the KFC Link Show 34 – directed by Ron Robinson, produced by Gem Madhoo-Nascimento and presented by The Theatre Company and GEMS Theatre Productions. This is a very happy reunion and a welcome reappearance of a satirical revue that is important because of its history, its social and entertainment value and its honoured place in the tradition of Caribbean theatre. It is very encouraging that the Link Show team can find it possible to work together again and revive an institution that is of such value to the theatre, and that has been threatened with extinction. It now stands with the Jamaica Pantomime as one of the only two surviving cornerstones of an old and deep-rooted performance tradition in the Caribbean. Satire has been at the core of Caribbean theatre since slavery. It was a main ingredient in the importations and transmigrations from Africa, of forms that evolved on the plantations, as well as in post-emancipation society; in the revelries of the white population and in importations and influences from Europe. Folk performances thrived on satire. There were elements of humour and of serious issues whose outlet was theatre. For example, the Trinidad Carnival has roots in the nègres de jardin (field slaves – very literally, garden negroes) masques of the Europeans and the Canboulay (from cannes brulees – burnt canes) of the Africans. Satire was (is) a staple in African performance. It found itself in masquerades, in the jankunu/or jonkanoo of Jamaica and the Bahamas, in several post-emancipation and carnival theatrical acts among many folk traditions. There were influences from the European traditions. These developed both in the folk practices and in the formal performances on the stage. On the stage, there was vaudeville and its many branches including stand-up comedy, and there evolved the satirical revues and the pantomime in modern times. Out of several satirical revues that emerged after the 1960s, only the Jamaica Pantomime, Laff It Off in Barba-dos and the Guyana Link Show survived. Laff It Off now seems to have fallen away, leaving only the other two. Many year-end revues had their times on the stage in Jamaica, particularly, for example – Eight O’Clock Jamaica Time and Rahtid! 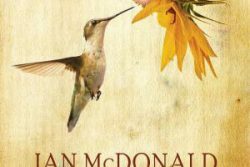 – in Trinidad and in Barbados, and there was “The Brink” in Guyana. These basically reviewed the political and social events, issues and personalities of the year and satirised them, much to the amusement of the audiences. But none of these remain today. The pantomime is the oldest and the strongest survivor. It started in Jamaica in 1942 when the English pantomime and the Jamaica folk tale traditions merged in an annual Christmas time production. The Link Show was founded in 1981 when Ron Robinson, Gem Madhoo and Ian McDonald formed The Theatre Company. Robinson and Madhoo fashioned The Link out of The Brink which was mainly driven by Frank Pilgrim at the Theatre Guild as Guyana’s annual revue. That had ceased in the late 1970s. 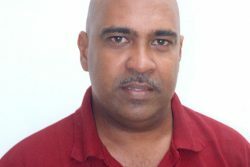 The Link drew its name from that as well as a radio news sequence at prime time on the then Guyana Broadcasting Corporation known as “the Link”. Robinson was a radio broadcaster. For many reasons this was a major development in Guyanese theatre. It added to the Caribbean revue tradition which was on the verge of becoming a threatened species. The Link Show, however, grew to major proportions in popularity and stature while the other revues around the Caribbean were moribund. It reached unprecedented heights before the separation of the major protagonists, the weakening of the annual production and its own demise. Therein lies the importance of The Link Show in Guyana. It has a wealth of history and tradition behind it and is a Caribbean flagship event – one of only two annual productions still carrying that flag. It is also one of two significant annual productions continuing the old comedy traditions – the other being Uncensored, by Lyndon Jones and Maria Benschop, a stand-up comedy show representing another branch of the old tradition. KFC Link Show 34 is the second reunion of the two companies that now produce the show. Of great importance is the role of KFC. 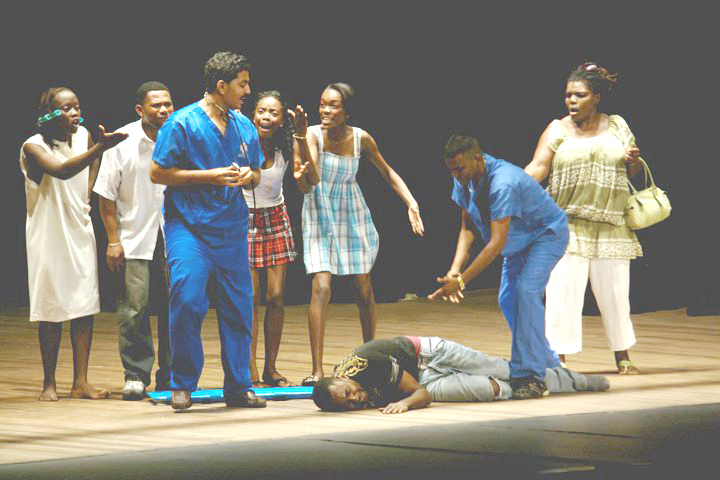 Private/corporate support of the arts is an issue in Guyana. The complaint is that it is scarce and very difficult to get. Most companies will sponsor things of immediate and immense popularity, and this has more meaning to them than standard or quality. Judging from the prevalent references and promoting of KFC in the text of Link Show 34, not to mention the addition of the name, KFC must have given the production substantial sponsorship. This is a welcome development since many other producers would be happy for similar private sector involvement in the arts. On the whole, Number 34 was a success – both as a work of art and an event that reached its audience. The crowds returned encouragingly. The show worked as satire for the most part. There were skits that turned out to be lengthy, with a number of good intermittent one-liners and funny moments, but fairly flat and meandering to a weak punch line. “The Protest” is an example of these that slowed down the performance. But those of this nature were dominated by skits with the opposite effect. In this regard, there was “Over de Fence” a long-standing favourite Link staple. This one, with Sonia Yarde, Nirmala Narine and Sheron Cadogan-Taylor, was lengthy, but worth every minute because of its liveliness, variety of topics, sustained plot, wit and effective punch line. Havingsport. Of similar importance, were the many “quickies” that worked as short, sharp bursts of laughter, but at the same time significant satirical commentary, and there were several examples of this. The success of a show like this, also rests with its ability to use songs and dance, not as mere frills, but as contributions to the satirical content. Musician Gavin Mendonca was a good example of this. One of his main songs was lost because the lyrics were not clear, but in other attempts, he was able to turn the delivery of songs into an effective comedy act of his own. The production itself was well managed and presented. The many experienced performers, such as Rajan Tiwari, Michael Ignatius, Paul Budnah, Troy Parboo, Raymond Persaud, Alicia D’Abreu Charles, Simone Persaud, and Simone Dowding, understood the performance of farce, take-off and lampoon and effected the required performance styles very well. The production progressed fluently with precise pace and timing, as managed by director Robinson, and was enhanced by the movement choreographed by Esther Hamer. The very extensive line of cast members formed part of an organised and effective team, also playing farce, lampoon and take-off appropriately, including Joshua Persaud, Stephen Asif Mohamed, Randolph Critchlow, Mark Kazim, Sean Thompson, Travis McKenzie, Sandy Thompson, Nalini Nariswari, Tomepha Rodney, Nathaya Whaul, Melika Edmonds, Makini Thompson, Keira Ckarles, Lee Leung, Rovindra Persaud, Yohance Koama and Eziekel Hamer. Both Robinson and Madhoo-Nascimento are legendary in Guyanese theatre as director and producer. Their two companies, TTC and GEMS, are giants in the field. It is hoped that this reunion will survive, and with it a strong Caribbean satirical tradition will continue.